An accurate estimation of myocardial stiffness and decaying active tension is critical for the characterization of the diastolic function of the heart. 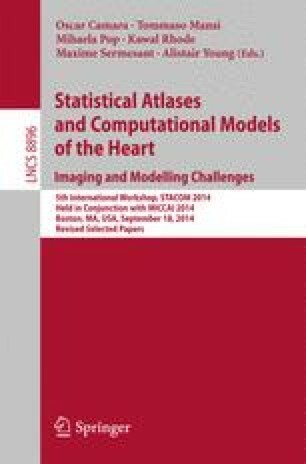 Computational cardiac models can be used to analyse deformation and pressure data from the left ventricle in order to estimate these diastolic metrics. The results of this methodology depend on several model assumptions. In this work we reveal a nominal impact of the choice of myocardial fibre orientation between a rule-based description and personalised approach based on diffusion-tensor magnetic resonance imaging. This result suggests the viability of simplified clinical imaging protocols for the model-based estimation of diastolic biomarkers.